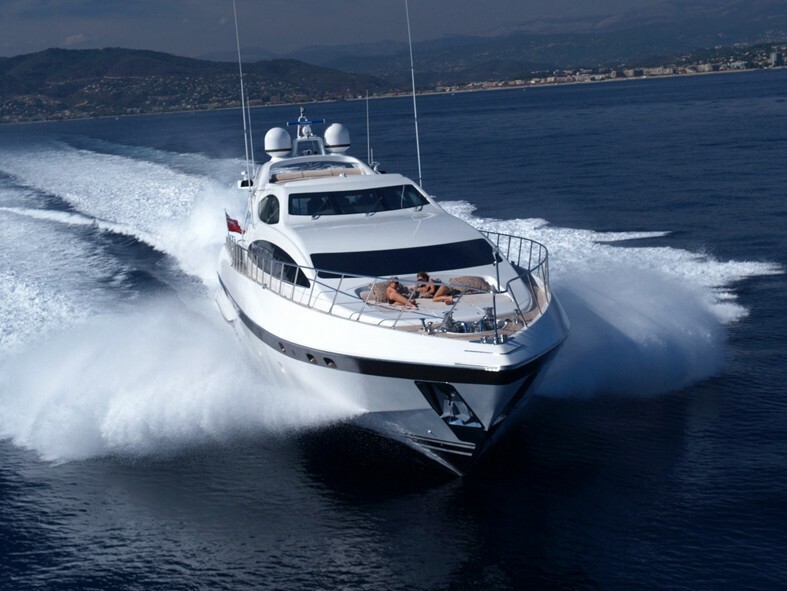 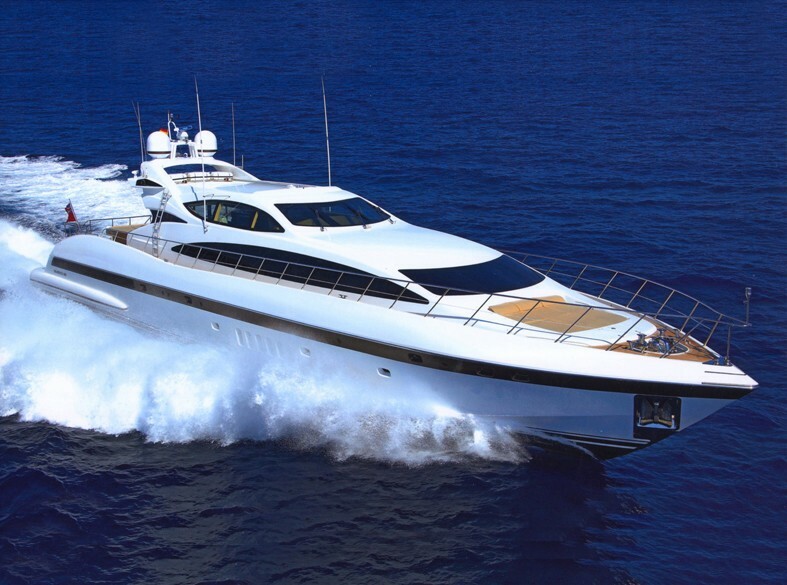 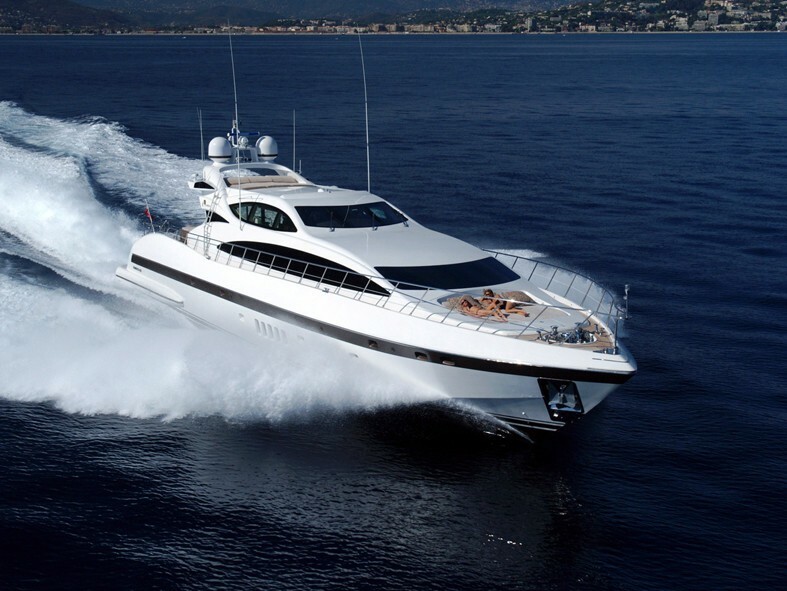 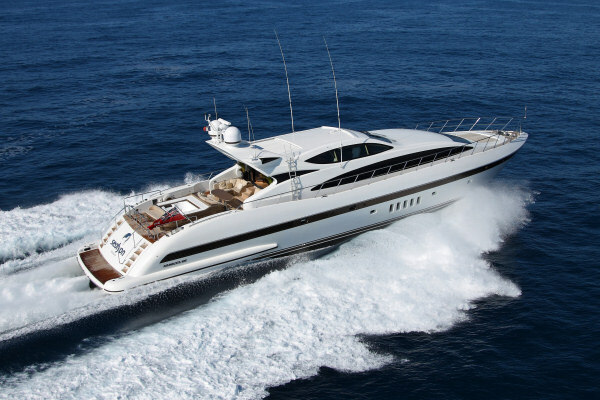 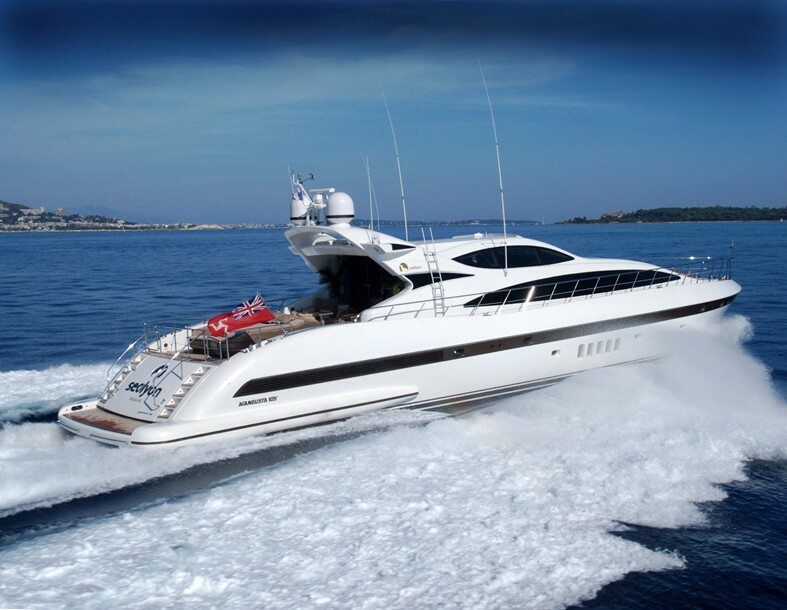 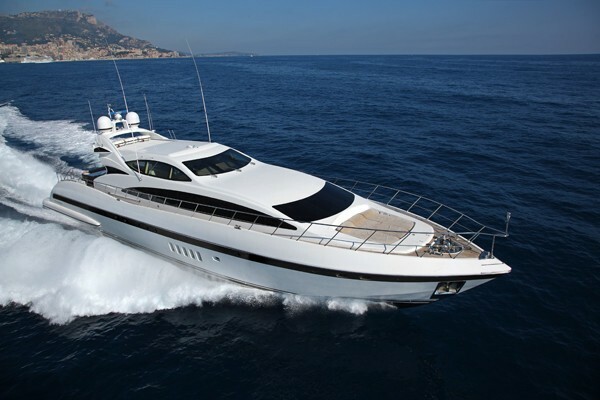 Motor yacht SAMIRA (ex Sealyon, Oscar 2) is a beautiful recent model Mangusta with the looks of a racy speed boat, but with the comfort and space you would expect from a luxury motor yacht. 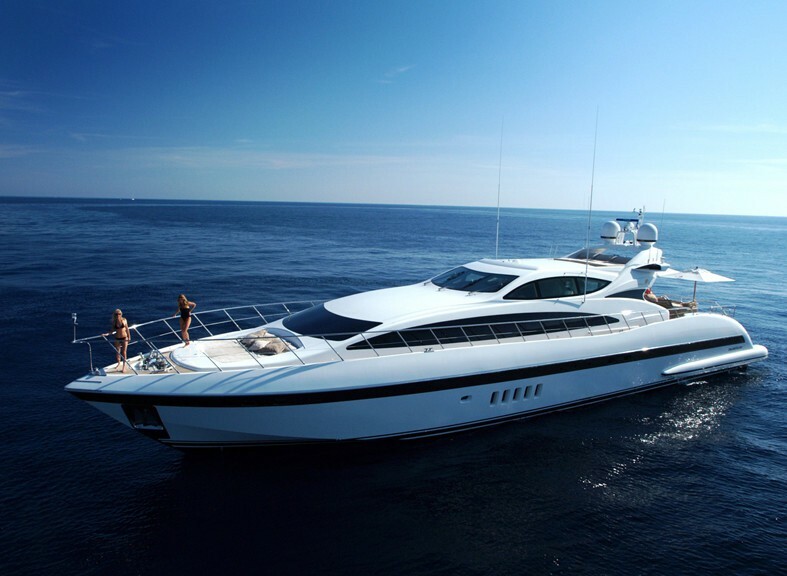 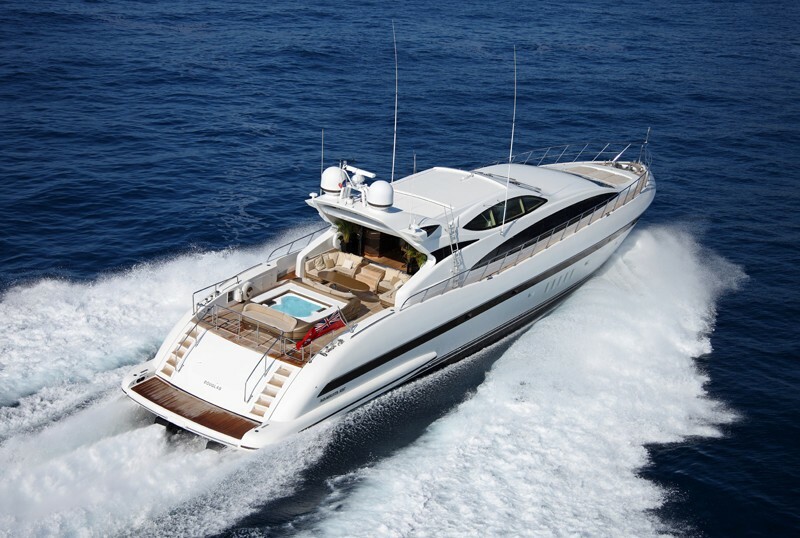 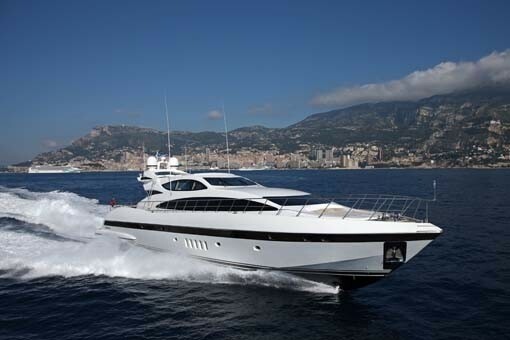 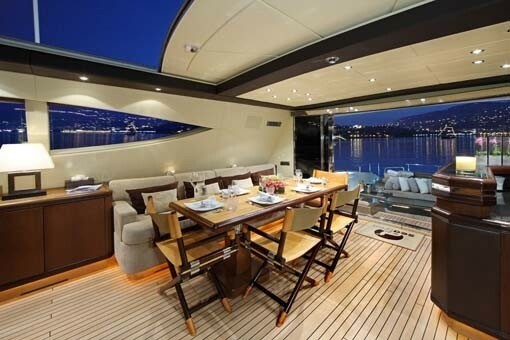 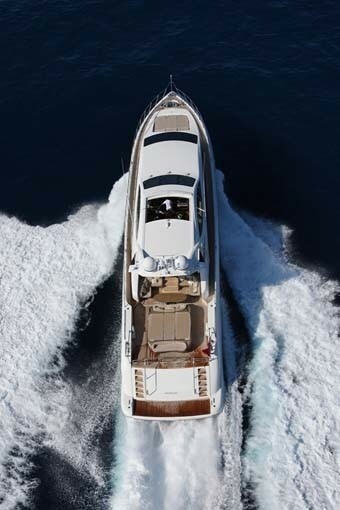 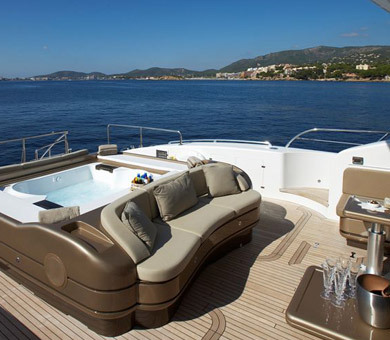 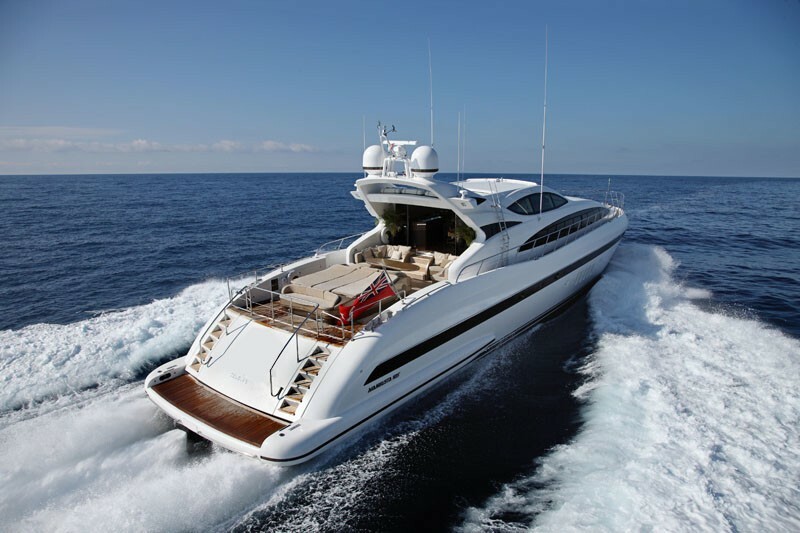 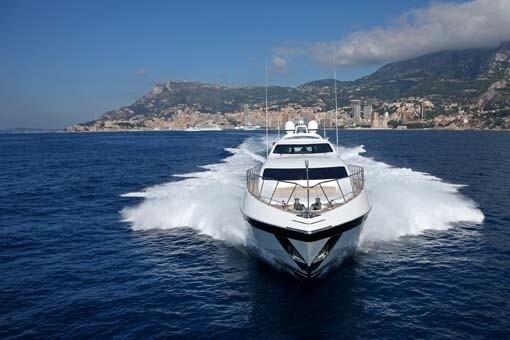 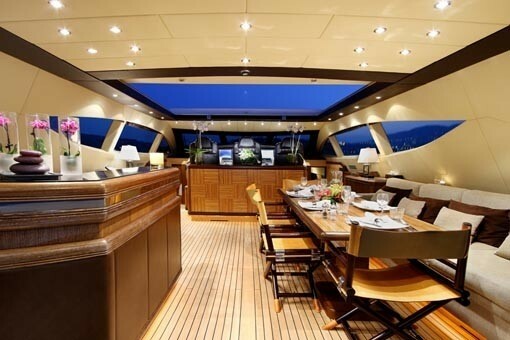 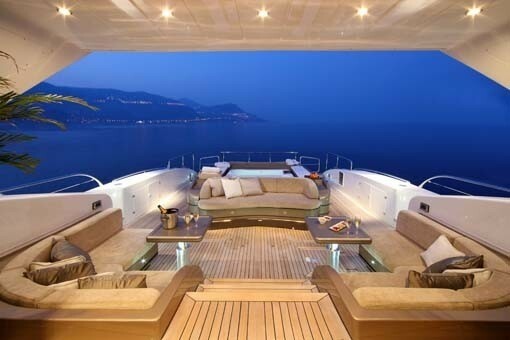 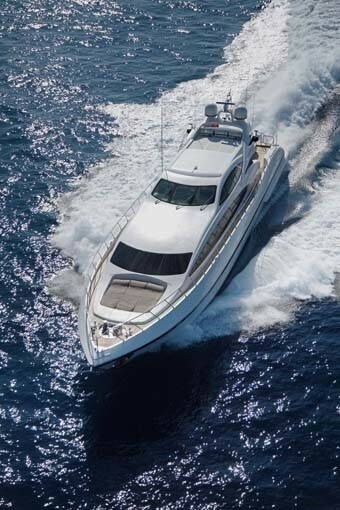 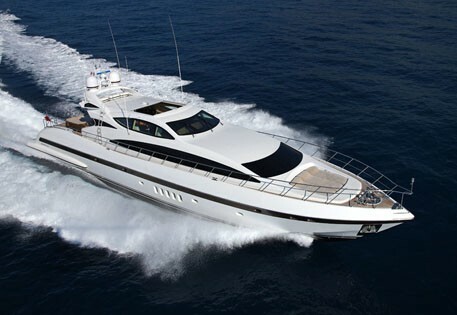 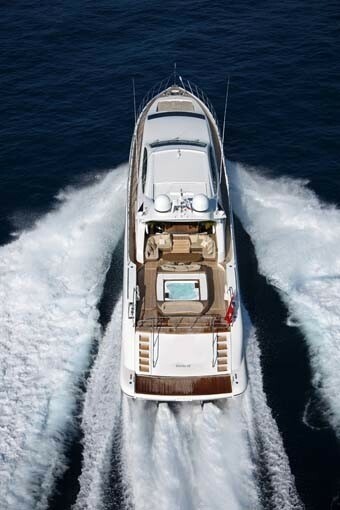 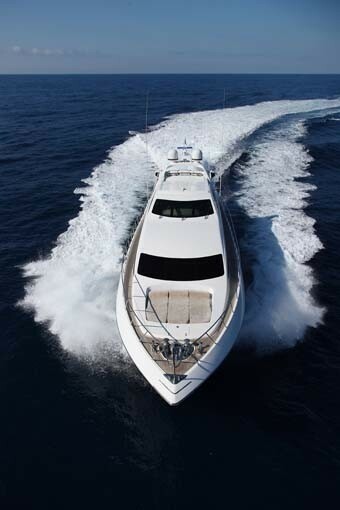 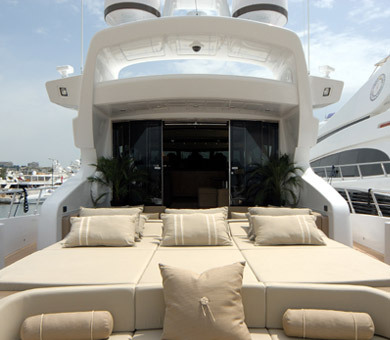 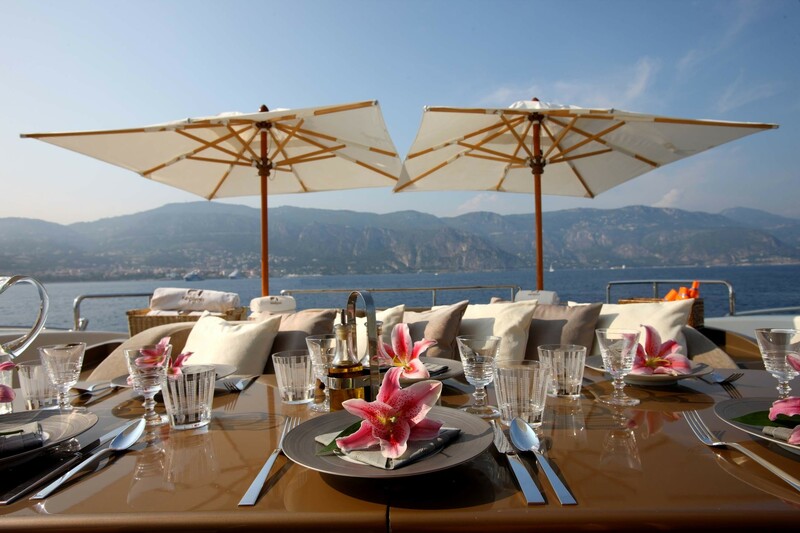 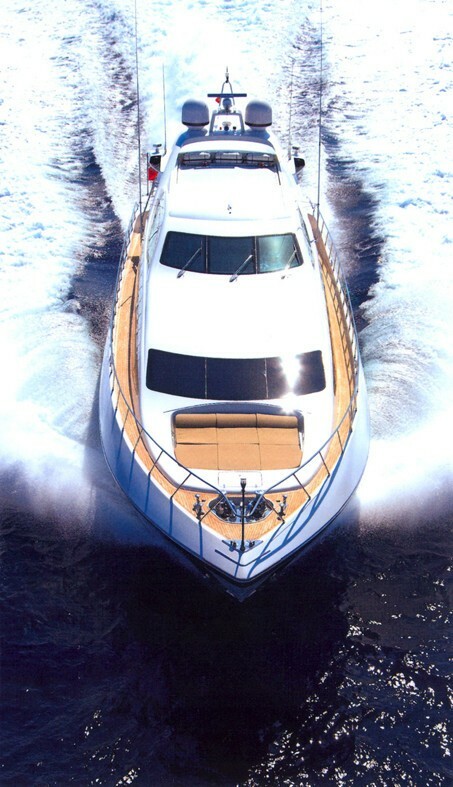 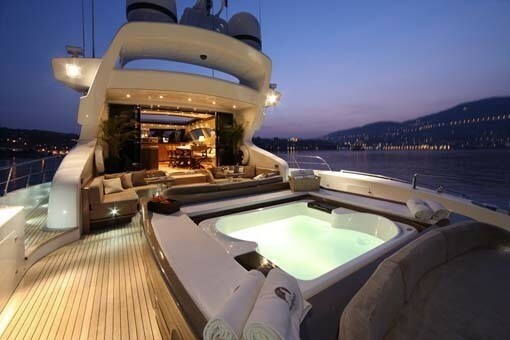 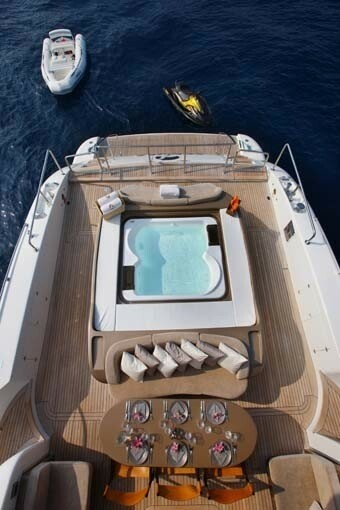 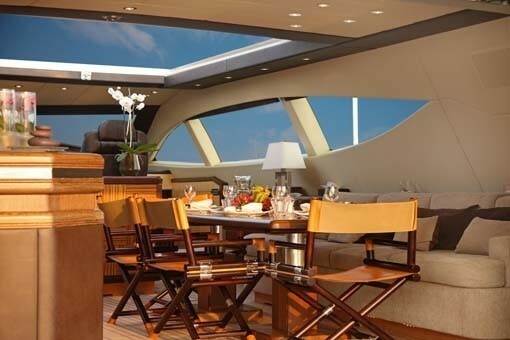 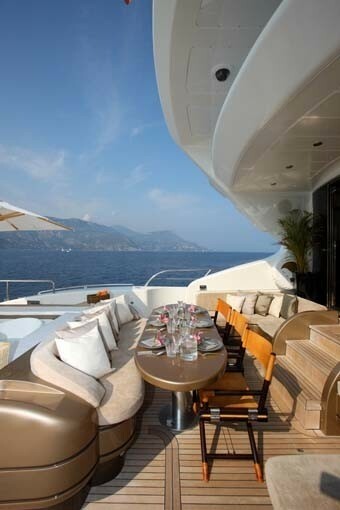 She is available for charter from the Western Mediterranean. 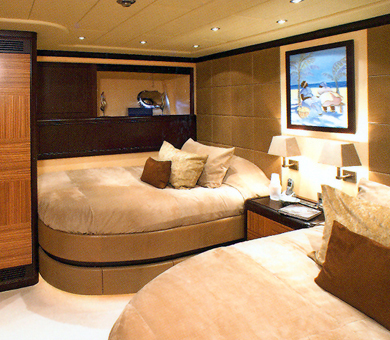 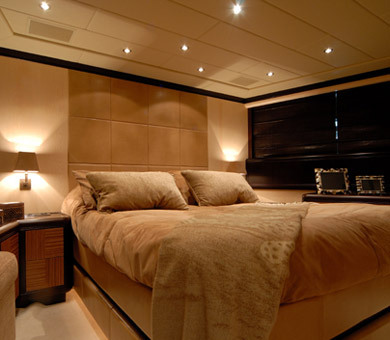 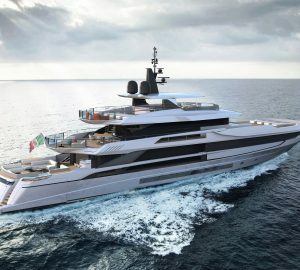 Motor yacht SAMIRA (ex Sealyon, Oscar 2) only has three cabins instead of the normal four so they are much more luxurious, especially the huge Master cabin, which is designed with comfort in mind. 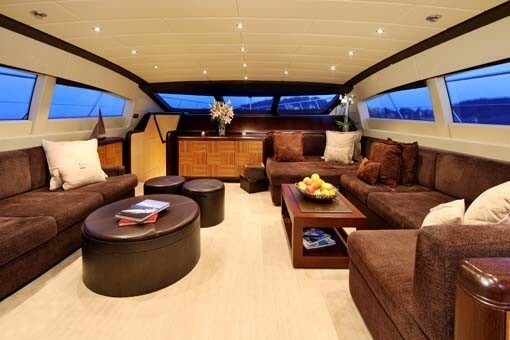 The interior decor is very tasteful in earthy tones. 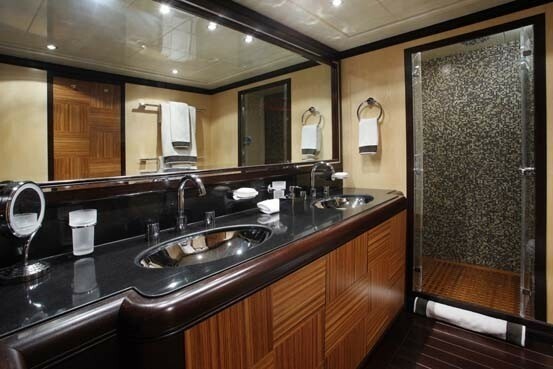 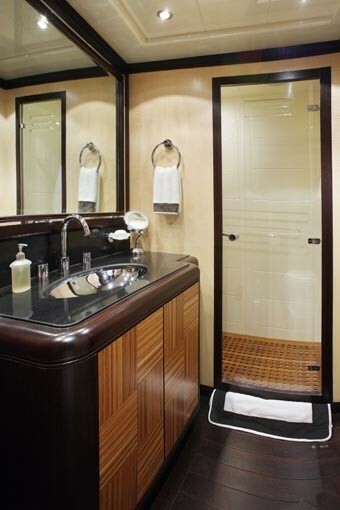 Master cabin with ensuite bathroom, one dressing room, private lounge and office (The office is equipped with 1 PC Notebook, 1 Printer Scanner Copier, and 1 Fax Machine). 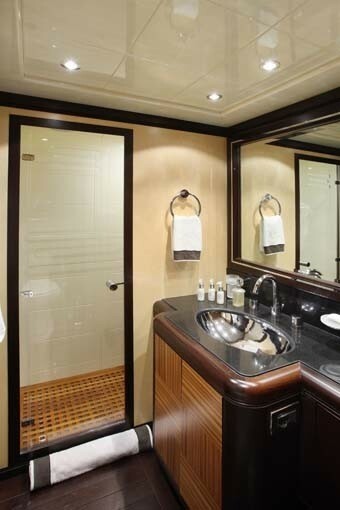 VIP double with ensuite bathroom and twin with ensuite bathroom. 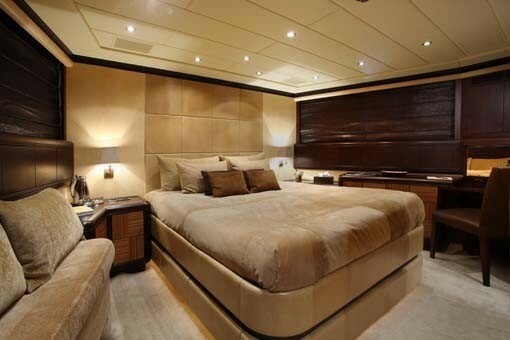 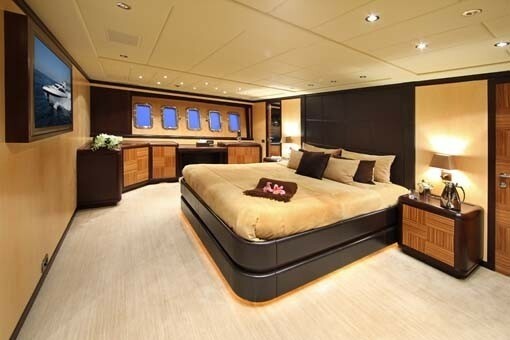 The beds are extremely large in the twin rooms. 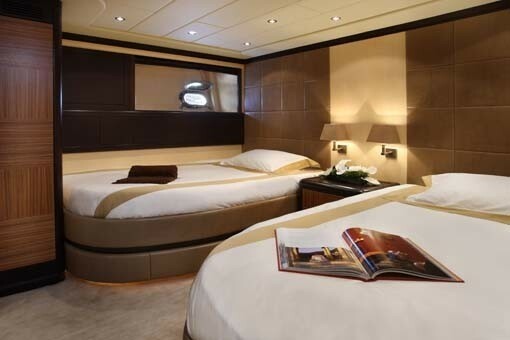 Therefore the twins can sctually sleep two/four guests: Two people per twin bed - ideal for children and/or adolescents. 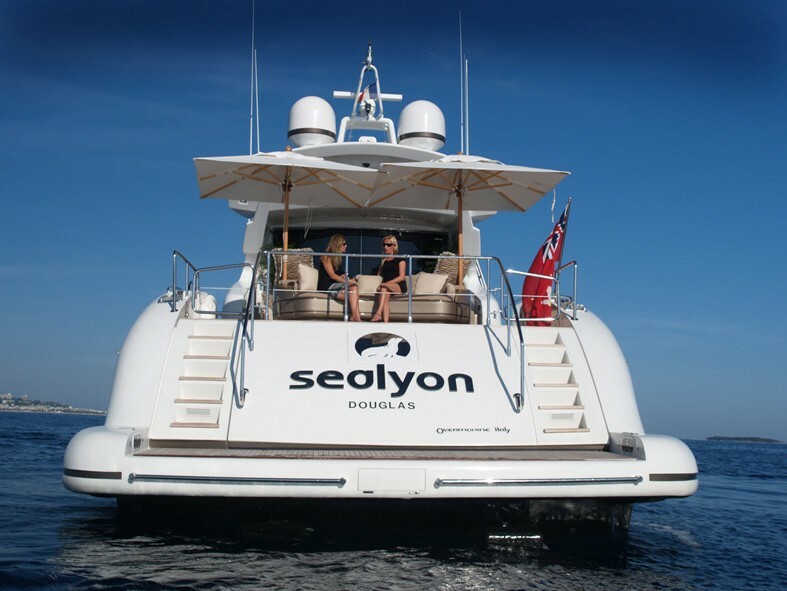 Included on board is a jetski, Zodiac tender, 2 canoes, donuts, two electric scooters, snorkelling gear, and an exercise bike. 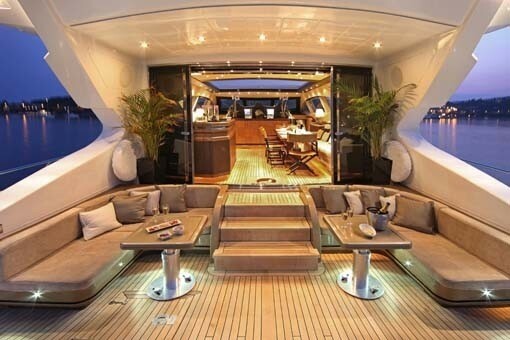 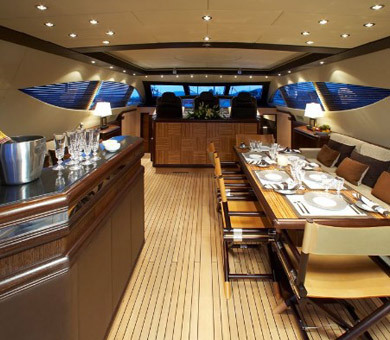 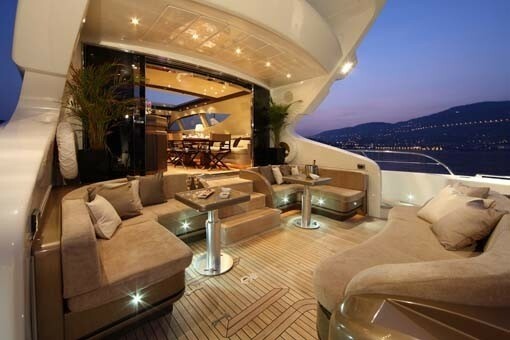 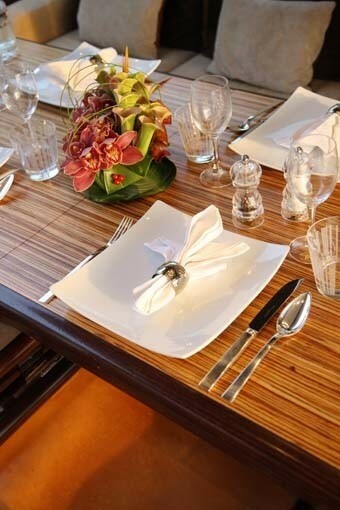 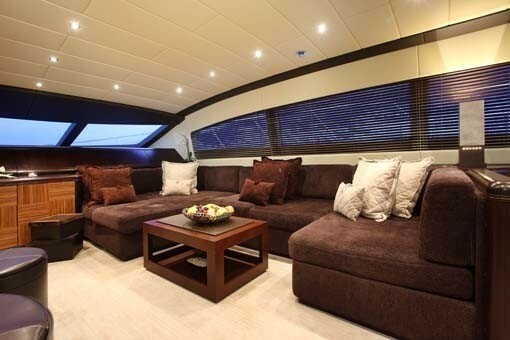 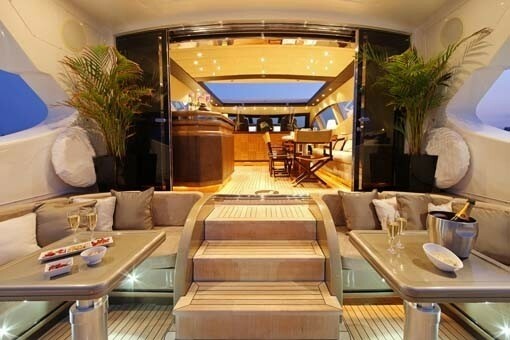 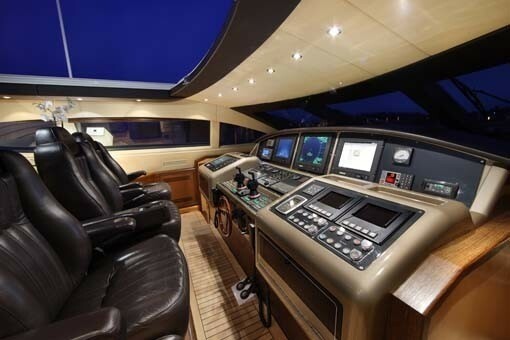 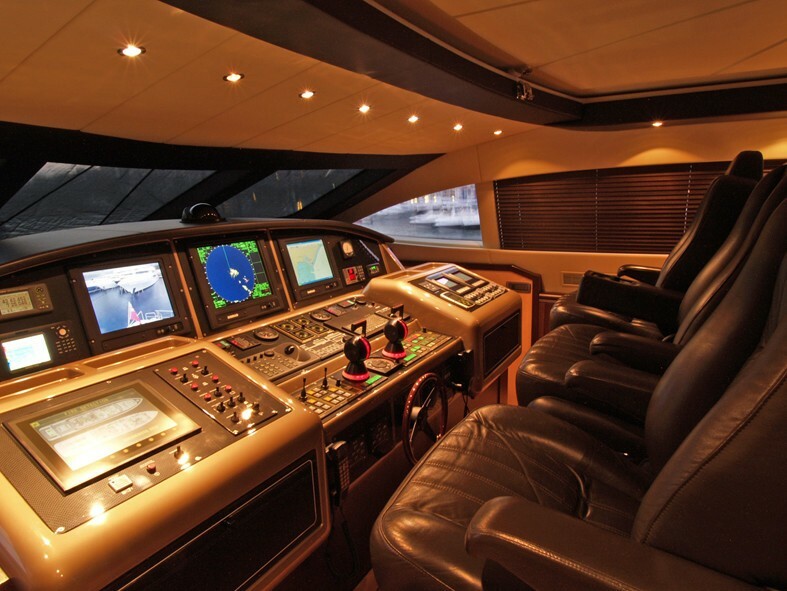 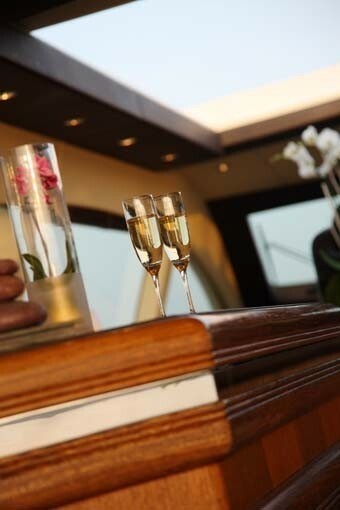 On board is also all of the state of the art technology including internetm plasma TV's, DVD, CD, Wifi. 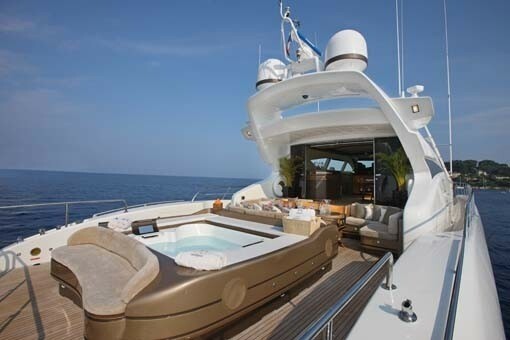 Oscar 2 also has a luxury deck spa pool on board.